"IF YOU DRESS IN YOU BEST ROYAL OUTFIT, OUR ROYAL COURT WILL TAKE A PICTURE WITH YOU AS THE RULER OF THE LAND OF CONTENTMENT. SO BRING YOUR CROWNS, YOUR SHIELDS, YOUR HELMETS AND ARMOR, YOU ARE WELCOME!" 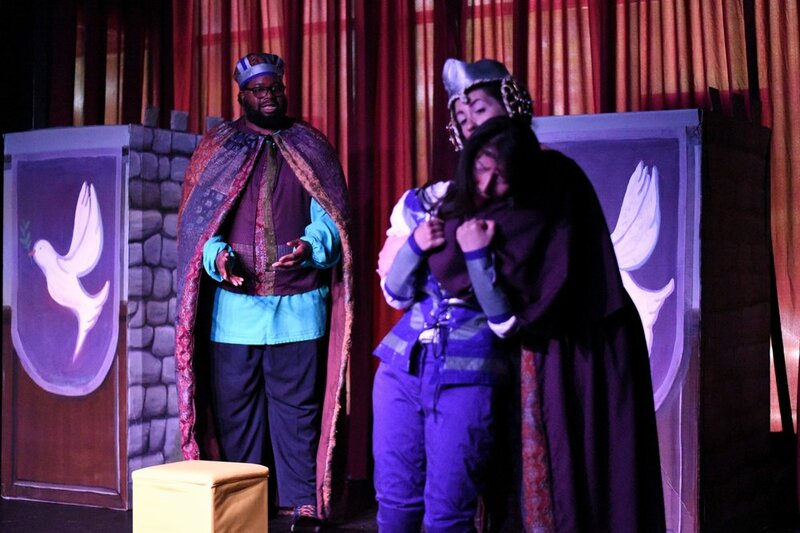 Burt will put on his duct tape crown only two more times, this Saturday and Sunday, as the show he is acting in – Ghostlight Ensemble's The Princess Without Pots – comes to a close. But he wants to make sure they go out with a bang…or maybe a flourish of trumpets would be more appropriate. Read more about Norm and his work on The Princess Without Pots in the Lakeview Patch.